January 31, 2019. 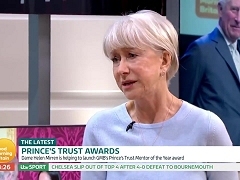 Helen Mirren talks about her involvement with the Prince's Trust Awards to promote its upcoming awards ceremony. Compilation of promotional featurettes on "The Nutcracker and the Four Realms" featuring interviews with Keira Knightley, Mackenzie Foy, Helen Mirren and Misty Copeland. May 18, 2018. Kate Garraway joins Helen Mirren at Cannes Film Festival to talk about all things Cannes, her life and career but she also shares her 12 minute workout. March 09, 2018. 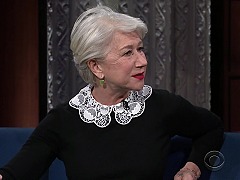 Helen Mirren attends the Late Show with Stephen Colbert to promote the theatrical release of "The Leisure Seeker" in the United States. March 09, 2018. 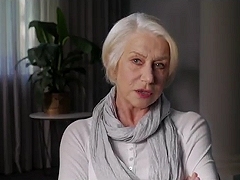 Helen Mirren is interviewed by Entertainment Tonight Canada about her work for L'Oreal Paris and also "The Leisure Seeker". March 09, 2018. 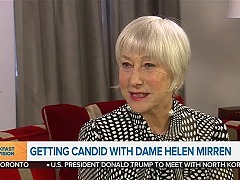 Helen Mirren is interviewed on Breakfast Television Toronto to promote the theatrical release of "The Leisure Seeker" in Canada. March 07, 2018. 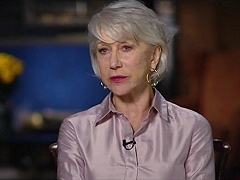 Helen Mirren is interviewed on KTLA 5 Morning News to promote the theatrical release of "The Leisure Seeker" in the United States. March 05, 2018. Helen Mirren is among a host of celebrities being interviewed by Guillermo on the red carpet at the 90th Annual Academy Awards. February 13, 2018. 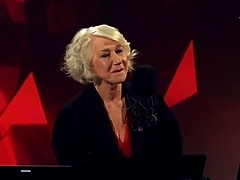 Helen Mirren visits RTL 102.5 ahead of the Italian premiere for "Winchester", to promote the film's release in Italy. February 13, 2018. Press conference for "Winchester" in Rome, Italy, attended by Helen Mirren to promote the release of the film. January 30, 2018. 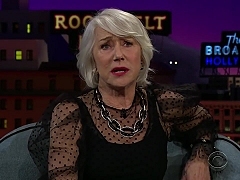 Helen Mirren attends The Late Late Show with James Corden to promote the theatrical release of "Winchester" in the United States. February 01, 2018. 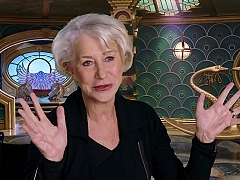 Helen Mirren on the legend of legend of Sarah Winchester, the heiress of a firearms fortune in the supernatural thriller "Winchester". 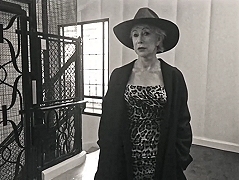 From her make-up essentials and taking the perfect selfie to her top tips for boiling an egg and brewing a tea, Helen Mirren – star of the March 2018 issue – shares her life lessons with Vogue. 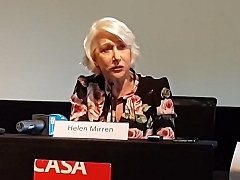 Compilation of press junket interviews with Helen Mirren in Rome, Italy, to promote the theatrical release of "Winchester". January 30, 2018. 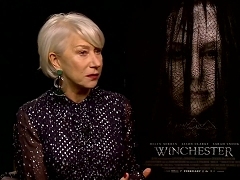 Compilation of press junket interviews with Helen Mirren to promote the theatrical release of "Winchester" in the United States. January 30, 2018. Compilation of press junket interviews with Helen Mirren and Jason Clarke to promote the theatrical release of "Winchester" in the United States. Compilation of promotional featurettes for the theatrical release of "Winchester" in the United States". 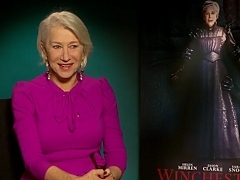 Press junket interview with Helen Mirren to promote the theatrical release of "Winchester" in the United States. January 24, 2018. 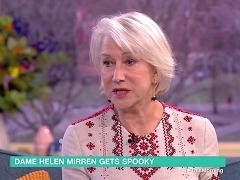 Helen Mirren tells a ghost story from her wedding night during the promotion for "Winchester" on This Morning. January 22, 2018. 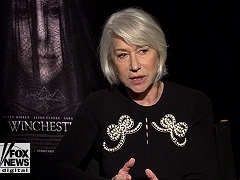 Press junket interview with Helen Mirren to promote the theatrical release of "Winchester" in the United Kingdom. January 21, 2018. 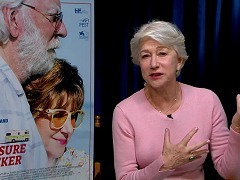 Helen Mirren talks about "The Leisure Seeker" and "Winchester", the Time’s Up movements, as well as her own experience as a victim of sexual misconduct. January 19, 2018. 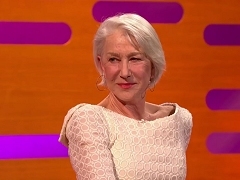 Helen Mirren attends "The Graham Norton Show" to promote the theatrical release of "Winchester". Other guests are Liam Neeson and Jamie Dornan. January 12, 2018. 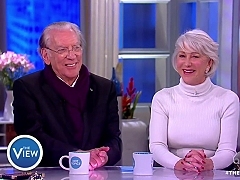 Helen Mirren and Donald Sutherland are interviewed by Whoopi Goldberg to promote the theatrical release of "The Leisure Seeker" in the United States.